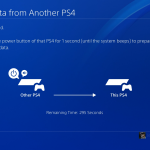 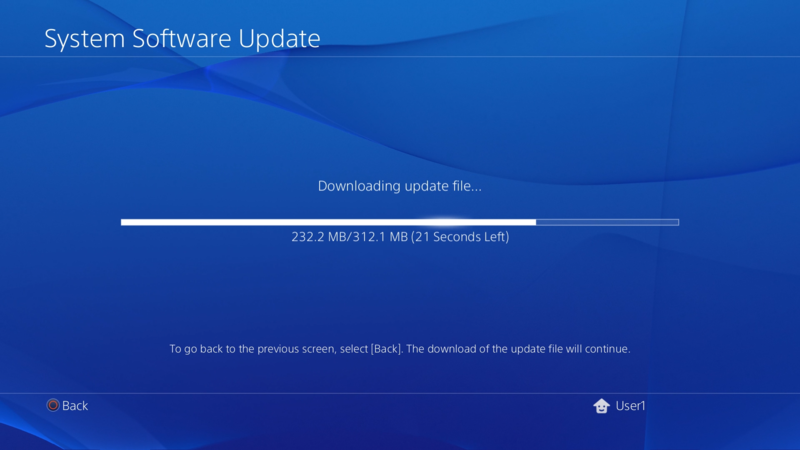 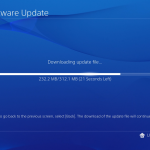 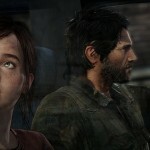 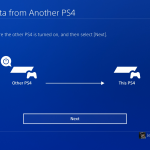 Sync any trophies you have on the original PS4 with the PlayStation Network. 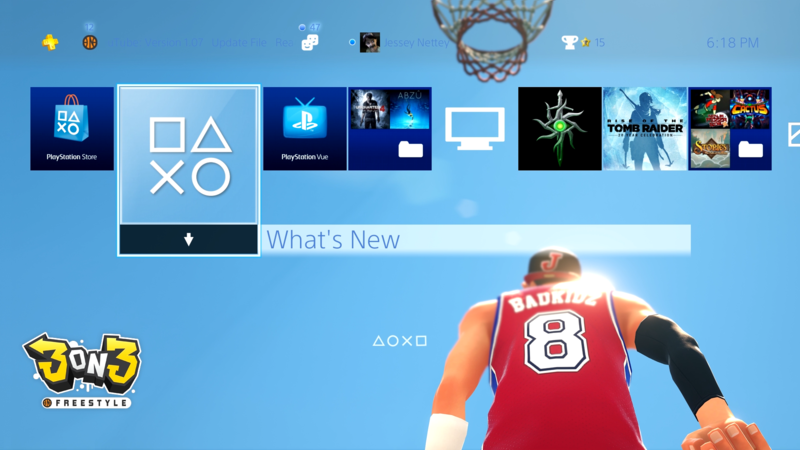 Once the set up is done, update the system. 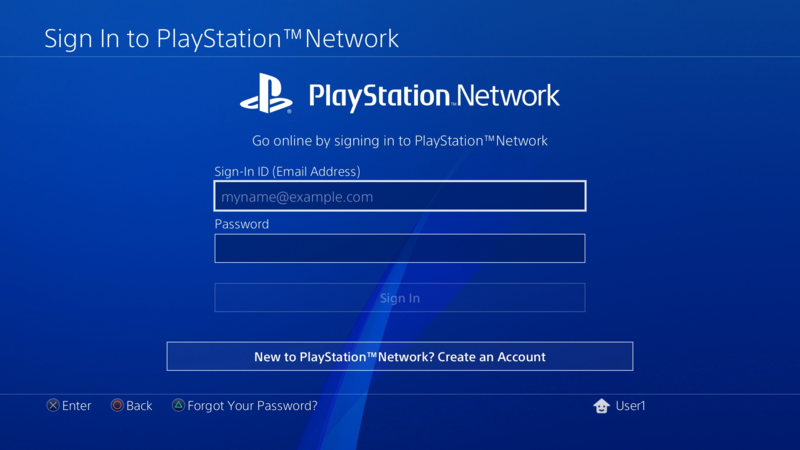 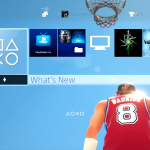 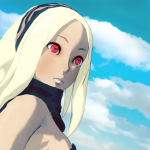 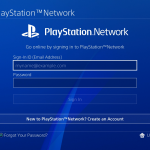 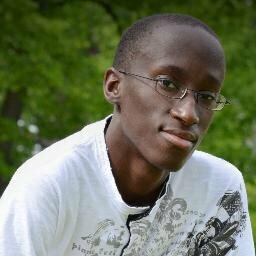 With the system updated, sign into your PSN account. 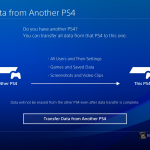 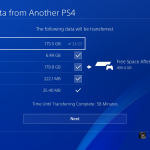 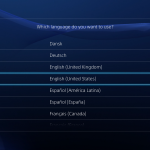 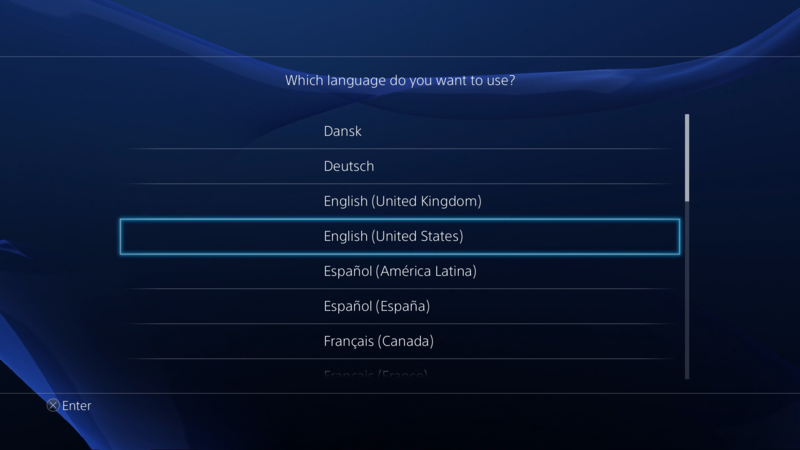 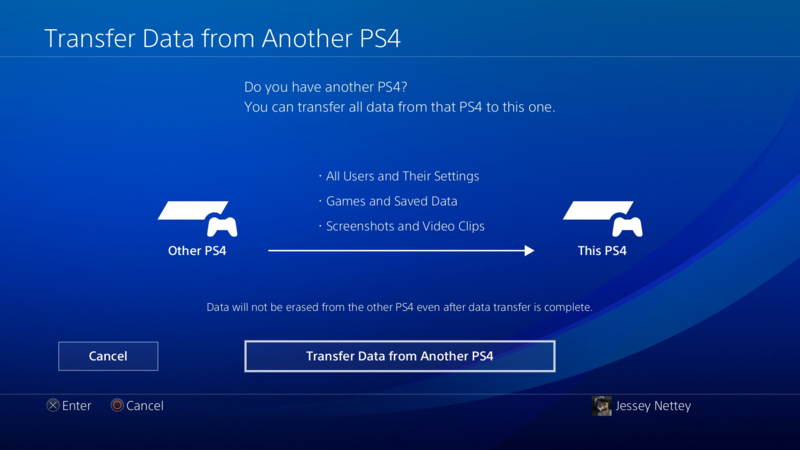 After signing into your PSN account, the system will ask if you want to transfer over any content from a previous PS4. 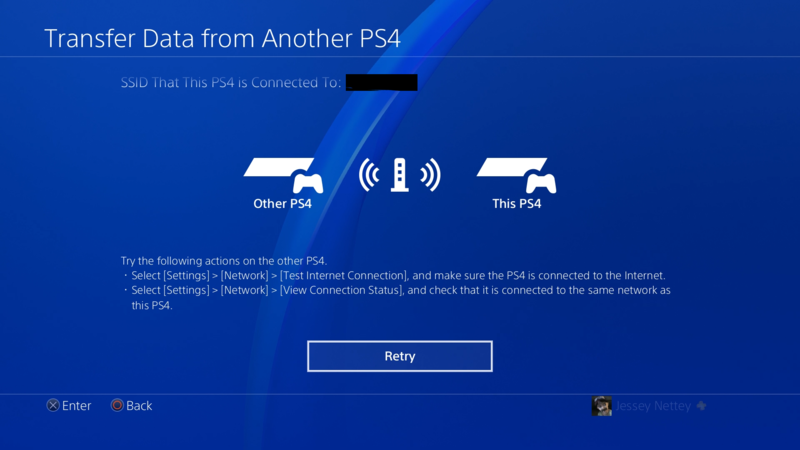 Click X to continue. 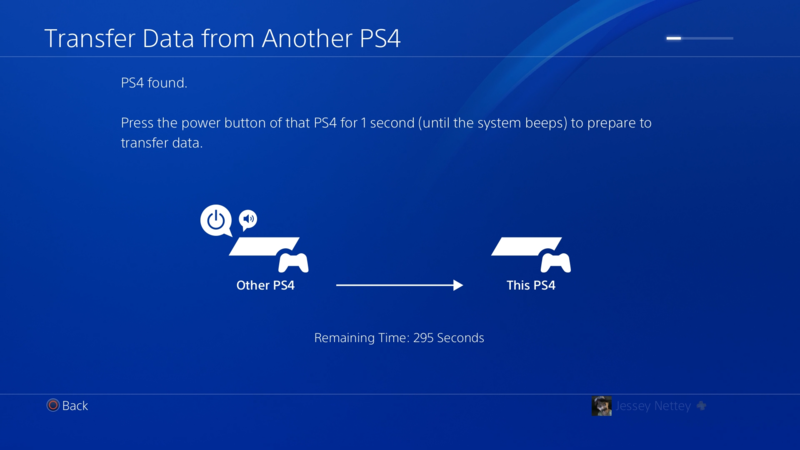 With the first PS4 detected, press and hold the power button on that console until it beeps once. 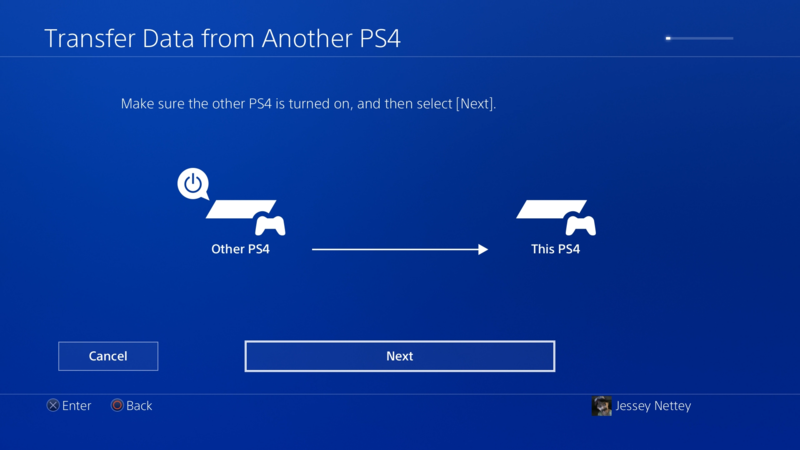 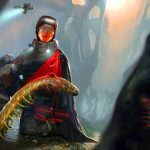 Choose which content you want to bring over. 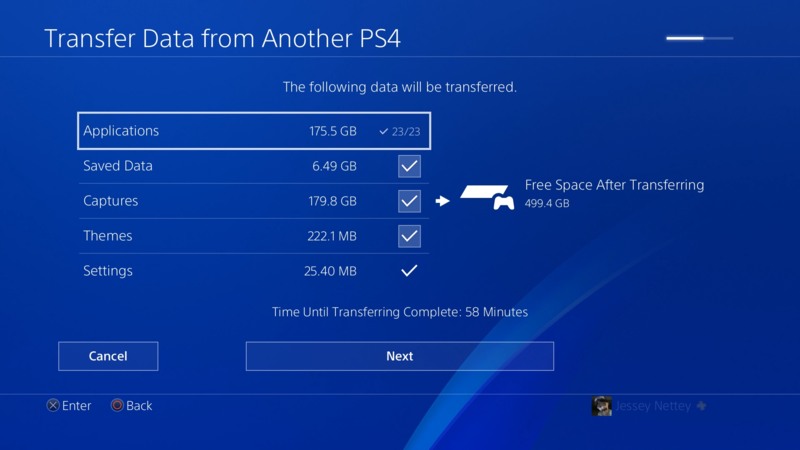 The more content, the longer the transfer will take. 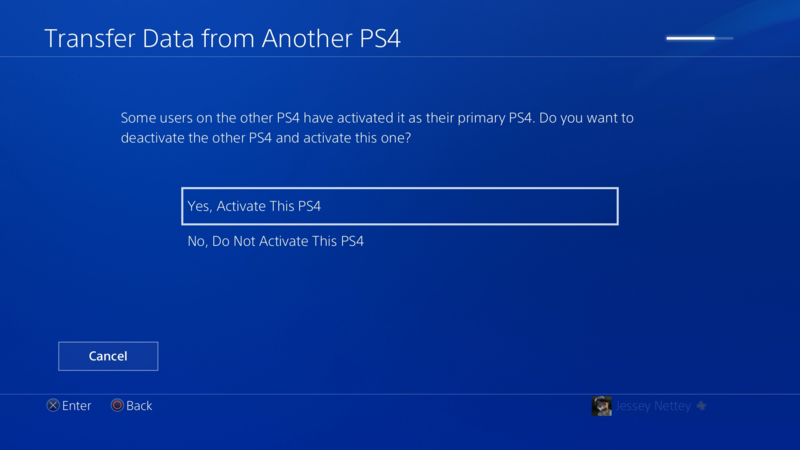 Choose whether or not to activate the PS4 Pro as your primary PS4. 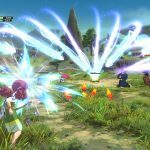 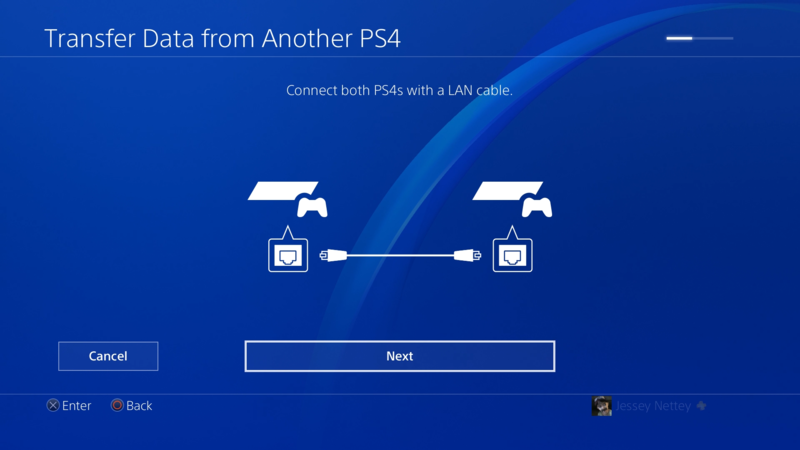 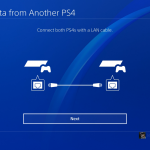 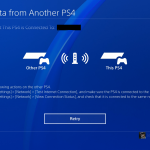 We recommend doing this if you do a lot of remote downloading or other people without a PS+ subscription will be using this console for online multiplayer. 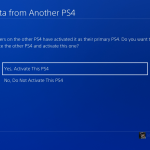 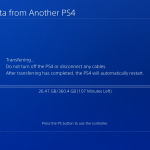 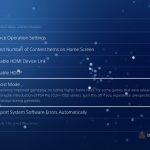 If necessary, activate the PS4 Pro for any other PSN accounts being transferred as well. 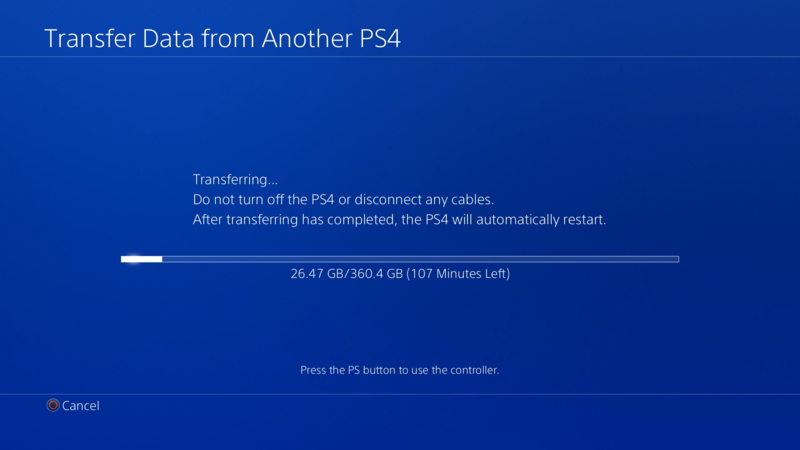 Continue and wait for the transfer to complete. 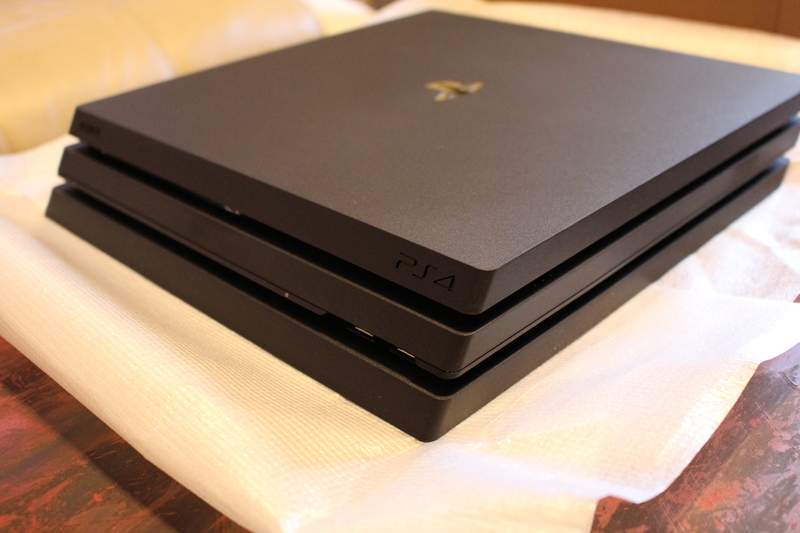 With the transfer finished, enjoy your PS4 Pro!